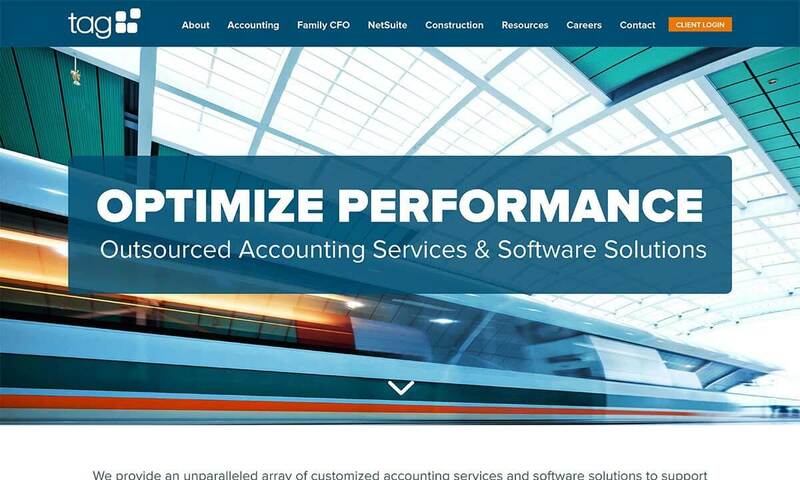 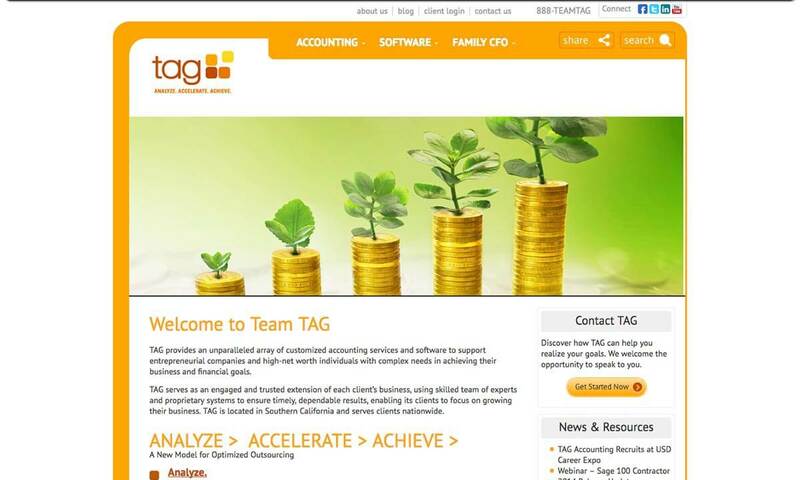 TAG is a Southern CA based firm that has three different service areas—accounting, software and family CFO. 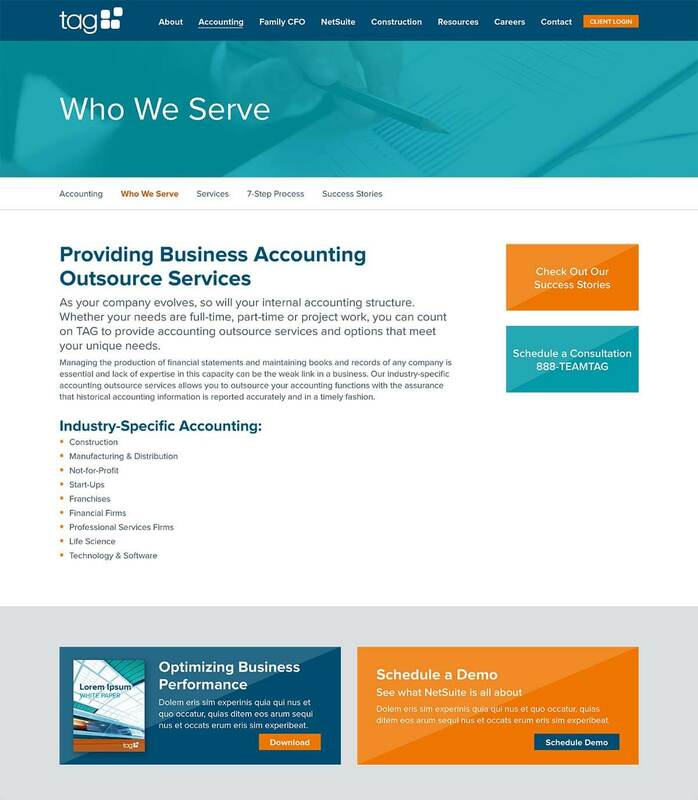 The new website shows how these three offerings work seamlessly together. 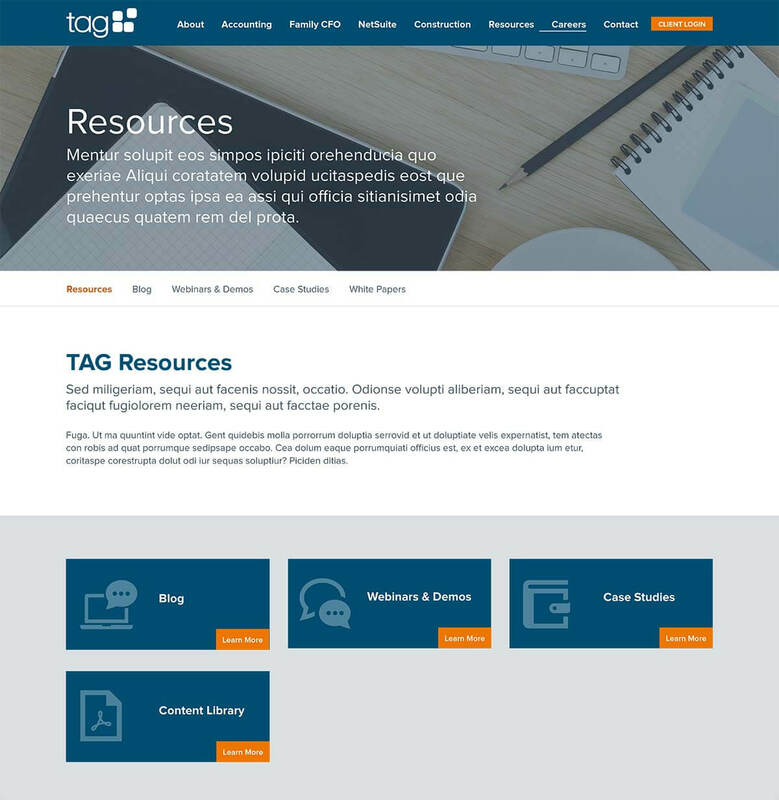 The stronger branding platform helps grow TAG’s overall business by giving them the marketing tools to better articulate the firm’s unique value proposition, drive ideal clients to the site and increase new client engagements.